What is the chart that shows classifications of elements according to their properties and increasing atomic numbers? Please keep your elbows off the . Which sentence below shows ownership correctly? Fred's backpack is on the table. Freds' backpack is on the table. Freds backpack is on the table. Fred backpack is on the table. The table weighs 200 pounds. How far is the table? How narrow is the table? Choose the statement that best matches the picture. The apple is under the table. The apple is on the chair. The apple is behind the table. 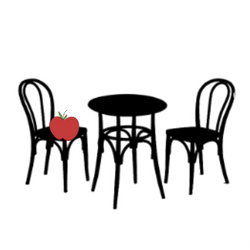 The apple is above the table. The Periodic Table is a table that lists . The periodic table is a table for the organization of . Which of these tags are all <table> tags? Please choose the best answer that fits in the space below. I have asked you many times to go sit over . ms Brown;s key is on the table. Miss Brown's key is on the table. Mis Browns key is on the table. There are 88 students eating lunch at tables in the cafeteria. There are 4 students seated at each table. How many tables are there? Which pair of tags is NOT required in a web page? Please set the for dinner. With table borders, what is the property used to control the appearance if two borders come across each other?